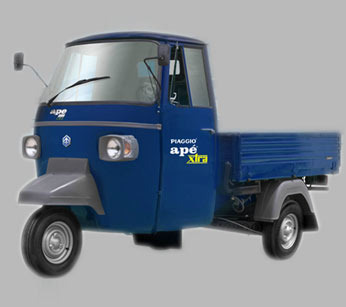 Pioneers in the industry, we offer ape xtra three wheelers, piaggio three wheelers, ape xtra ld, new ape city three wheelers and ape city from India. As the name suggest APE Xtra ensures extra strong body, high performance and extra comfort. This single cylinder, four stroke type three wheeler has 8.0 bhp @3600 rpm maximum power along with 34+4 km/ltr. Available in diesel, CNG and LPG, these vehicles is provided with electric start option and guarantees smooth ride. Uniquely designed monocoque chassis stamped and welded with main central beam offers complete convenience. We offer a comprehensive range of Piaggio Three - Wheelers which are brilliantly designed and made as per industry norms keeping all the safety measures intact. As a proud supplier and distributor of the same, we ensure that all our vehicles are tested properly before they are delivered to clients. 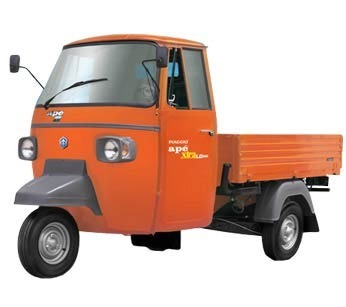 Range of Three Wheelers offered by Piaggio are eco-friendly, safe, comfortable and offer freedom from engine hesitation problem. Extra strong platform, Extra mileage, extra reliable gear box, extra strong clutch, long engine oil life, extra profit and extra aesthetics are some of the key features of Piaggio three wheelers. APE Xtra LD provides extra strong performance, reliable gear box, long clutch life, long wheel balance and various accessories which these vehicles highly demanded in the market. Available in orange, green, blue, yellow, red and white color, these three wheelers are very stylish and ensures a comfortable ride for the passengers. These vehicles are offered in Diesel and CNG variants along with efficient battery charging. Known for extra mileage, aesthetics and long deck, these three wheelers are perfect for loading goods. New APE City is the advanced model of APE city and has more powerful engine. This vehicle is powered by a verity of fuels like LPG and CNF along with petrol variants too. 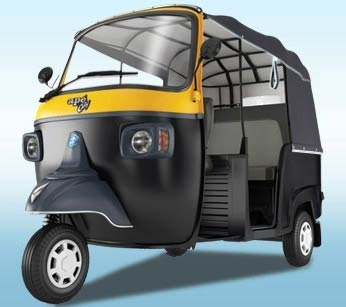 Ensuring best-in-class mileage and low emission, this three wheeler has become a most preferred choice. Providing extra power, more strength, higher savings, greater comfort and superior style, all these three wheelers are widely demanded in the market. APE City has highest torque rating which refers to excellent acceleration and ca climb flyovers with complete ease. These three wheelers come with good seating space and ergonomics go well. Powered by a 3-valve 200cc engine, this vehicle ensures less maintenance and smooth rides. 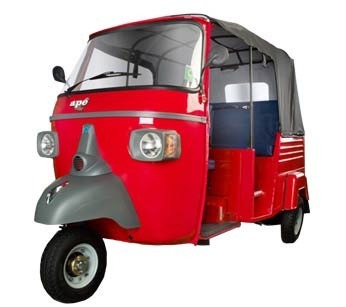 The range of this three wheeler comes in all types that includes LPG, CNF, petrol and diesel. With gear box clutch and helical compression spring and hydraulic telescope shock absorber, these vehicles are easy and convenient to drive. Looking for “Piaggio Three Wheelers”?